Hello everyone, I'm a Gold Coaster in CoolanGhetto looking to advance from my current old gear :) . Currently I'm on an old board that is fairly large, glass mast, aluminum boom you get the idea but today in moderate winds it just didn't feel fun, felt heavy to use and tiresome, wish it would go faster too after seeing some of the promo videos :/ . The wind doesn't get up much more around here so it will be very frustrating in future as unless I get cyclonic conditions it wont be fun. I'd really like to progress and get into the surf and offshore in the ocean. It is a very hard task to choose a modern board and rig, I'm 6'7" and had a horrible time failing to learn on a short board before a found my current one - no water starting never worked for me on the short board either. On top of that most rigs and boards are a few thousand dollars! - I can't stuff this decision - hell I dont even want to pay more than 1-2k, is it possible to have fun on something under $1,000? 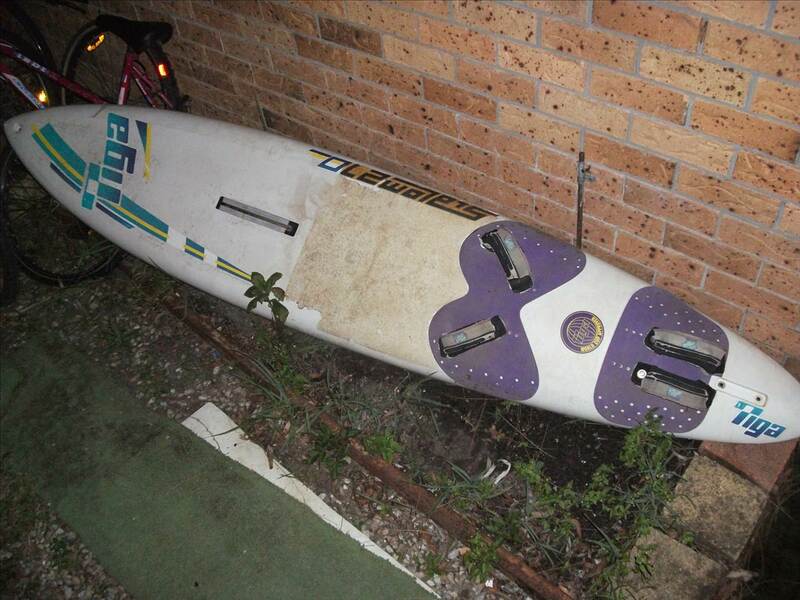 I can understand the trouble you had with 90s shortboards - can I say that modern short/wide boards are a different breed! Is this what you are still sailing? I suppose if you want to faster a modern rig and board may help. Do you mix with other sailers - maybe try one of there rigs to see what you like? Again it depends on your skill set and weight. I agree with Jeff that it is totally feasible to get gear at around $1000. After that you begin to desire an extra sail or two for different wind conditions. Then a smaller board for those really choppy conditions. There is always a wish list! Getting started on the right gear is the key though, both for the fun factor and safety. The rest will take care of itself over time. Be wise with the second hand choices though. Size, shape, performance etc. 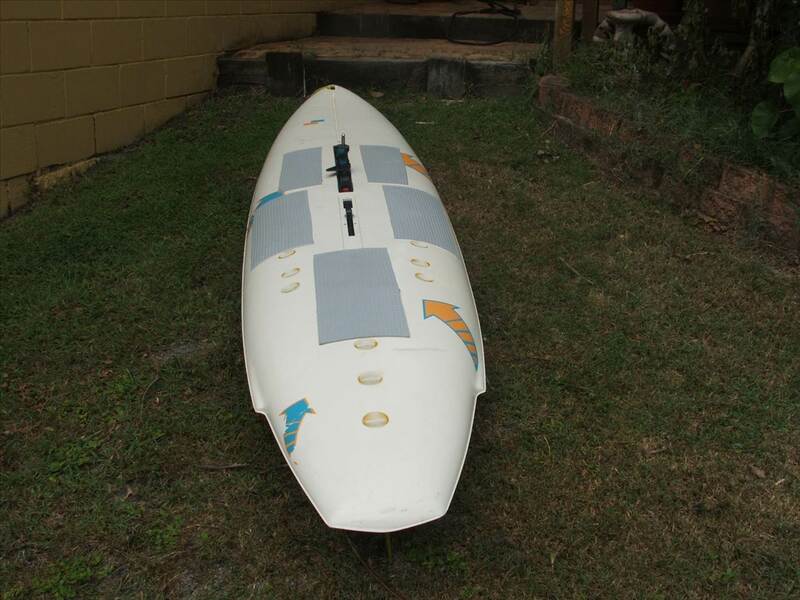 the sail should match the board and the conditions you use it in. the learner gear never becomes truly obselete because you can use it on light wind days to practice technique and new moves. Haha, good trolling Jirvin - I couldnt even find those when I went to my profile - I will upload a pic of my current board and rig soon but it is similar to the second one you posted. That old Bic I had was totally impossible. The Gumtreee link you posted is intriguing. I havnt mixed with other sailors. I weigh 80kg, 202cm and my experiance so far is being able to get underway, turn left, right, real basic stuff but atleast I'm moving. Today was the first time using a centerboard (homemade ofcourse :p - pro-though:thin pine with glass, carbon, kev) and I will agree that it helped me move about the area a lot better than just getting blown down river. Just thinking your original post was 2011 it's now 2015. Time to get you past the just get going stage???? Is 'just get going' mean harness? Footstraps? Uphauling or water starting? How often are you able to get out sailing? Sounds like you better make the gumtree seller an offer they can't refuse . Also just noticed another funster with more gear down near Coffs on Seabreeze. The thing with secondhand beginner gear is you will get most of your money back if you do decide to sell it. As it doesn't come up often for sale. If you are hungry to learn progress windsurfing you need a tribe to mix with. Spend some time on the qld forum and you will see some threads aimed at helping us get going. Time to join the fold...... It's a hard enough learning curve as it is without doing it in your own. Start a thread on the Qld forum with you location in the tittle. Ie... Keen beginner Gold Coast looking for sailing help.. Try to get a copy of the DVD " Beginner to Winner" because it will provide all the coaching you need to progress. It is possibly the best of its kind on the market. There is also a sequel that does wavesailing. I've got that. Only bit I don't like is his advice to exit gybes clew first. Much prefer Guy Cribbs DVD for learning to gybe.. Thanks, 'sourcing' that DVD now :) Was suprized how quickly the funster is brisvegas was sold - so windsurfers are very liquid? Thanks for the new link that just was posted today - it looks like a bit of a heavy bit of gear though so not so sure? I can up-haul - get underway and turn left/right. Thats my experience. You have asked for suggestions - I can see you have received pointers to 2 lots of suitable gear. Yes suitable gear comes up rarely - act quick! As per earlier post - answer to progress is more than gear. I have not seen Cribby's DVD on gybing but have seen a lot of his articles which are in PDF format. Plenty of got stuff to study and apply. Interesting comment about the clew first technique...I wonder if it because of his connection with Freestyle. They advertise a third DVD that has 113 different freestyle moves being taught. Possibly 114 if you count the catapult with double flip landing through your sail!